Stephanie Cameron ’21 and Maddy Mulligan ’21 dance the night away. This past Friday, March 29, saw the Class of 2021 take over the Peterson Recreation Center for a night of music and memory-making at the annual sophomore Friar Ball. Over 600 students quickly took to the dance floor as Michael Splann ’19 provided the hottest tracks and party anthems from the turntables. Friar Ball is a collaborative project between sophomore members of Student Congress and members of PC’s Board of Programmers (BOP). These two organizations have teamed up year after year to provide each sophomore class with an opportunity to enjoy a night with their classmates and peers in a smaller, more exclusive environment than the school-wide Black & White Ball. In addition to providing tunes, BOP members stood on standby with fan-favorite Ronzio’s party pies and beverages for party-goers to enjoy and refresh themselves with before taking to the floor again. 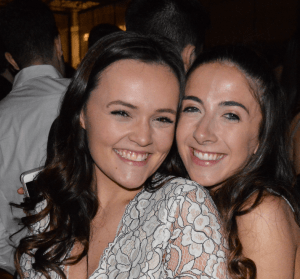 The success of this year’s Friar Ball has inspired sophomore Student Congress members to plan similar events in the future for the Class of 2021 next year as juniors. Additionally, a potential study break for the sophomore class is in the cards with final exams and projects rapidly appearing on the horizon.